Home Task Management What is “Task List” & how it helps you? What is “Task List” & how it helps you? A Task list displays a specific list of work which needs to be completed as a duty or chore assigned to you by the creator of the task. 1.Project navigation buttons – Shows the name of the project currently being worked on. The one which is open will be highlighted with a Dark Green color. At a time the Task List page will show a maximum of two tabs. 2.Arrow for more projects – The arrow when clicked will show a dropped down menu which contains the name of all the projects created. From the menu choose your project you’d like to work on and get started right away. See the figure below for reference. 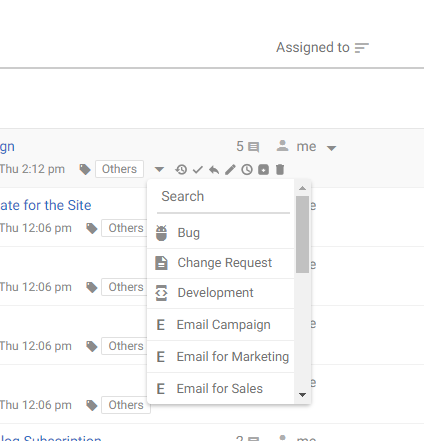 3.Task Filter Tab – ‘Task Filter Tab’ is an essential feature in the Task List page.If you click on ‘Manage filters’,you will be able to create custom filters. 4.Task priority tab:- The tab describes which task in under which priority.Here Red is for high priority, green for medium priority and yellow for low. 5.Select task:- You can select the particular task and perform required actions. 7. 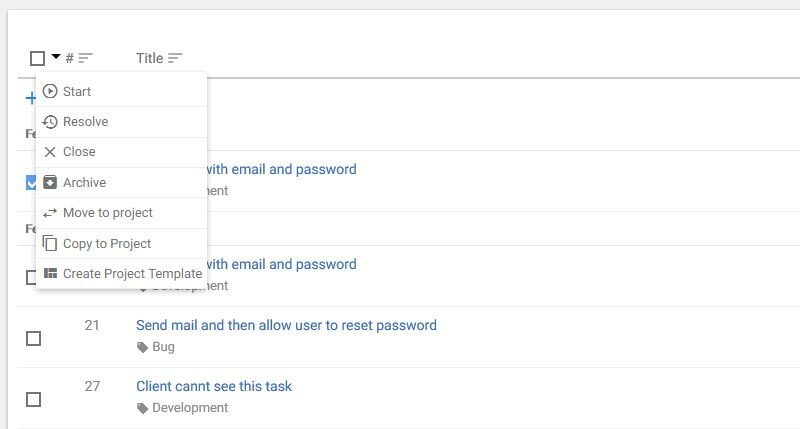 Name of the task:- This shows the task name and if it is clicked then this will take you to the task list page. 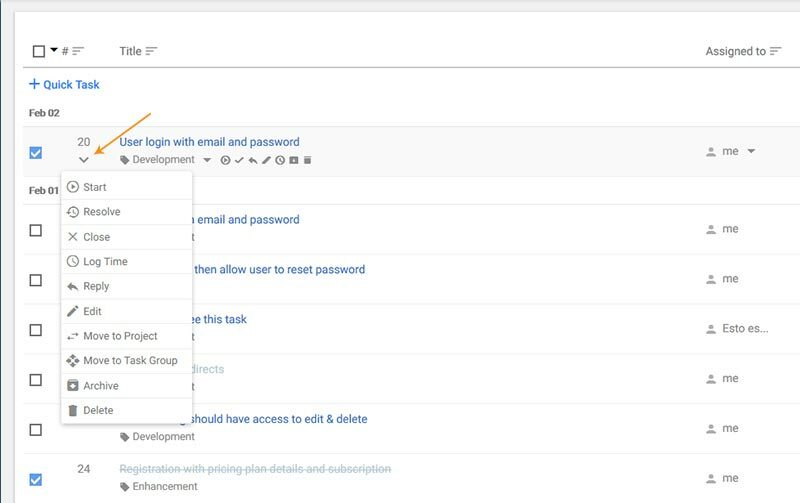 8.Tab to create Quick Tasks – It is represented as “+ Quick task” on the Task List page (See figure “Action Menu for each task” for reference). It is a very interesting feature in OrangeScrum and not found even in many comprehensive software. Using this button you can easily create a Task inside a project without having the need navigate unnecessarily elsewhere on the screen. 11.Comments:- This will give you a quick view to the activities that have happened in the task and comments given by the team members. 12.Task Assign menu – This is very important for typical hierarchies. You can assign the task immediately to a team member simply by clicking the “Assigned To” option. This will generate a menu which will have names of all the team members included in that project. Simply click the name you want the task to be assigned to and continue. You have the option of “nobody” in case you haven’t figured out the right team member. Setting your tasks starting day carefully. Reminder and record of the task given by date which is seen on the dashboard. 14.Task status:- This shows you the status of the task.Whether it is closed, resolved, In-progress or new. 15. Filter:-This enables you to filter the task as per your requirement. For example, if you would like to know in project which task are closed.Then you can filter the task through this. Time Anytime, Past hour, Past 24 hours, Past week, Past week, past month, custom range. Task Type All the task types that have been used to categorize your Tasks and projects. Created by Number of team members existing in the project or Task. Assigned to The users that the task has been assigned to. 16.Mass action menu for Task – The ‘Mass action menu’ when clicked enables the ‘6 sub menus’ which allows you to Start, Resolve, Close, Move to project, Copy to Project, Create Project template a Task. See the figure below for reference. Note: In the above figure when the ‘Mass action menu for Task’ is not clicked the ‘6 mass action sub menu’ is not active. In the second figure when we click it, the Mas action menu gets activated. See the figure below what the ‘Mass action menu’ can do. 17.Task sorting by Tasks to view first task to last and vice-versa – The “Task Sorting” helps you to sort Tasks based on the task number for top to bottom and vice-versa. So, it shows your Tasks serially. 19.Progress bar linked to Task Status – The “Progress Bar” works closely with the “Task Status”. Any activity in changing the status of the Task i.e. Start, In Progress, Resolved, Closed will be reflected in percentage on the Progress Bar. It thus gives you the summary of all completion and a task status so you can be updated each and every second to know how much remains and how much is pending. The Progress bar will show the same colors as that which are taken by Task Status. Please refer to Figure1 for reference.